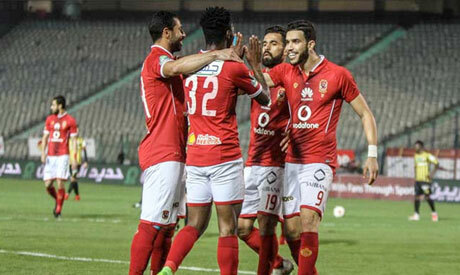 Cairo giants Ahly said on Wednesday they will bring in a foreign replacement for Hossam El-Badry after the Egyptian coach stepped down following a stunning 2-0 African Champions League defeat at Uganda's Kampala City on Tuesday. El-Badry handed in his resignation after Ahly extended their winless run to four matches in all competitions, falling to the bottom of their Champions League group with a solitary point from two games. "Ahly's football committee … announced following a meeting on Wednesday that the team's coming coach will be foreigner," the Red Devils said in a brief statement on their official website. The most successful club in Egypt and Africa, Ahly traditionally prefer to rely on foreign bosses. However, they opted to name El-Badry for a third stint in the summer of 2016 following the departure of Dutchman Martin Jol, given his successes in two previous spells at the helm. He helped the club win two league titles in 2017 and 2018, and guided them to their first Egypt Cup title in ten years in 2017 with a 2-1 defeat of Masry. Under his guidance, Ahly came close to winning the Champions League title last year, but lost the final to Moroccan side Wydad Casablanca 2-1 on aggregate. However, El-Badry came under fire following Ahly's poor results at the end of this season. They lost to arch-rivals Zamalek in the league for the first time in 11 years, before exiting the Egypt Cup with a loss to unfancied Assiouty Sport. The eight-time African champions made a disappointing start in the Champions group stage as they were held to a goalless draw at home to Tunisian giants Esperance de Tunis, before losing to Kampala 2-0.